Unlike most other figures deemed as cult leaders, Jones enjoyed public support and contact with some of the highest level politicians in the United States. For example, in the heat of the 1976 Presidential Campaign, Jones met with Vice Presidential Candidate Walter Mondale on his campaign plane. Rosalynn Carter and Jim Jones Video Footage! Likewise, First Lady Rosalynn Carter personally met Jones for a private dinner at the Stanford Court Hotel. Mrs. Carter later called Jones personally. At the 1976 grand opening of the San Francisco Democratic Party Headquarters, Jones packed the audience with Temple members and garnered louder applause when he spoke than Mrs. Carter. Governor Jerry Brown, Lieutenant Govenor Mervyn Dymally and Assemblyman Willie Brown, among others, attended a large testimonial dinner in Jim Jones' honor in September of 1976. At that dinner, Willie Brown referred to Jones as "a combination of Martin King, Angela Davis, Albert Einstein, and Chairman Mao." Both Assemblyman Willie Brown and Jesuit Trained Governor Jerry Brown attended Temple services. "The coroner of Guyana, Dr. Mootoo, was on the scene quickly, and testified that almost all the dead had injection marks on their shoulder blades, or were shot or strangled. There was no evidence of mass suicide, but mass murder." The next three videos were created by myself in response to the research I did on Jim Jones, The People's Temple and Jonestown. 1 "Jim Jones and Jonestown, What Really Happened?" 2 "From Jonestown to Waco"
This one I created 03/15/08, There's an old clip from the TV show called PM Magazine about Jonestown. 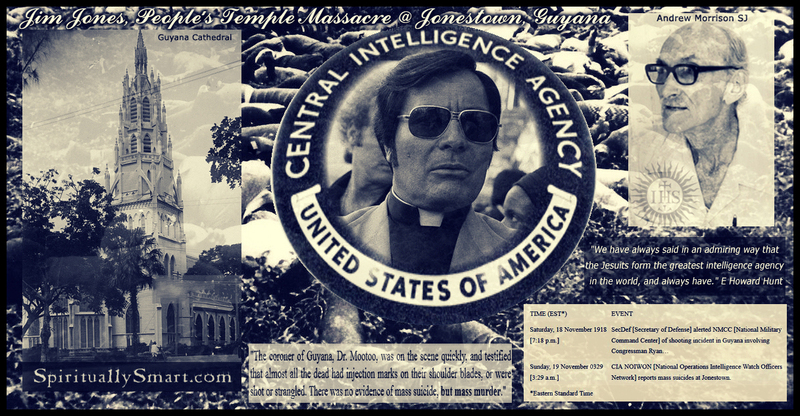 3 "The Truth about CIA JIM JONES and Jonestown"
Amendment for the CIA called the Hughes-Ryan Act. Dan Mitrione was from the same town in Indiana that James Warren "Jim" Jones came from. More in depth research on Mitrione and his son (Who was FBI). Video: State of Siege (1973 - Costa Gavras) "This is a true story based in real events that took place in 1970, though the real name of the American agent was Dan Mitrione". Daniel Anthony "Dan" Mitrione (August 4, 1920 – August 10, 1970) was an Italian-born American police officer, Federal Bureau of Investigation agent, and United States government advisor for the Central Intelligence Agency in Latin America. He was killed by the Tupamaros. "It is important to note that he had one special childhood friend named Dan Mitrione. This friend would later play an important role in Jim's future." On September 27, 1980, a column by respected investigative reporter Jack Anderson was published under the title "CIA Involved In Jonestown Massacre." This was the first allegation of CIA involvement in the Jonestown incident. According to Anderson, both Richard Dwyer and Jim Jones had ties to the CIA, with Dwyer's ties dating to at least 1959; when quizzed directly about this alleged CIA involvement, Dwyer responded "no comment." At one point on the sound-recording made during the mass suicide, Jones' own voice commands, "Take Dwyer on down to the east house" and a short time later, Jones says "Get Dwyer out of here before something happens to him." This is considered by some to be evidence that Richard Dwyer, a U.S. embassy official, was really a CIA operative. Richard Dwyer was a known CIA agent who accompanied Ryan on his fact finding trip. He is seen [Above] in a film of Ryan's departure securing his boarding pass. Later [Above] he can be seen accompanying Ryan to the small plane before the murders of Ryan and other members of the team. He mysteriously separates away from the group just before the shooting begins. Just as mysteriously, he was not a target. It is believed that Dwyer was aware of the impending massacre and had a special relationship with Jones. A tape found at the camp recorded the voice of Jones telling his guards, "Get Dwyer out of here before something happens to him." Later, a radio transmission on a special CIA frequency reported the massacre -- a transmission believed made by Dwyer after he terminated Jones. Both were PT members. Deborah's father's name was Lawrence Layton, Sr.
"Now Laurence Layton, Sr. had a number of children. Laurence Layton, Jr. was one of them and it was Larry Layton, Jr. who led the firing squad which executed Representative Leo Ryan and others. Congressman Leo Ryan and a number of other people at the Port Kituma (sp) airstrip in Guiana. His sister was named Debra Layton Blakey (sp) and she was married to a fellow named George Phillip Blakey." Now it's very important to understand that Deborah Layton Blakey was the main person who was a "defector" of Peoples Temple and was telling the Media that the Peoples Temple members were practicing faked suicides and giving death threats to people who wanted to leave. She even wrote a book about it and she still does interviews to this day!! Joseph Blatchford, the officially appointed attorney for the "Jonestown" survivors, was involved in a scandal involving CIA infiltration of the Peace Corps. The involvement of Larry Layton in the ambush of Ryan and his party also provokes great interest from the CIA theorists because of his family background. Layton's father was Dr Laurence Laird Layton who had been the chief of the army's Chemical Warfare Division during the 1950's. It had also been Larry Layton's brother-in-law, the UNITA link, who had negotiated with the Guayana government, on behalf of Jones, for the establishment of "Jonestown." Another point, which CIA theorists use to support their beliefs, is the fact that, despite the growing controversy surrounding the People's Temple, Jones's move to "Jonestown" was given full support from the American Embassy in Guyana. Larry Layton, the only one ever prosecuted for the murder of Congressman Leo Ryan has been paroled!! Congressman Leo Ryan is an interesting aspect to this case. Everyone says that he was a victim. They believe the CIA set him up because he was working on an amendment that would restrict the operations of the CIA called Hughes-Ryan Act. I think it's a possibility that he was in on the whole thing. (Just to clarify this, I think they may have faked his death and that he could have lived out the rest of his life under an assumed name in South America or somewhere else. I'm saying IT'S A POSSIBILITY!) Why do I think this? 1st. He was Jesuit trained. He graduated from Campion Jesuit High School in Prairie du Chien, Wisconsin in 1943. He then received V-12 officer training at Bates College and served with the United States Navy from 1943 to 1946 as a submariner. Ryan graduated from Nebraska's Creighton University with an B. A. in 1949 and an M. S. in 1951. 2nd. He was also an early critic of L. Ron Hubbard and his Scientology movement and of the Unification Church of Sun Myung Moon. On November 3, 1977, Ryan read into the United States Congressional Record a testimony by John Gordon Clark about the health hazards connected with destructive cults. Now many would think this is a good thing. But we have to understand what is going on here. The media and the government have usually stated that Jonestown was a result of "dangerous cults" and the danger of falling prey to "cult leaders" that use mind control techniques to take advantage of people. They used the tragedy of Jonestown to demonize the people at Waco and smeared them through the media almost making the Branch Davidians to appear sub-human. Believe it or not, Scientology have constantly been attacked the same way. And they have fought back vigorously. Making many enemies along the way. In researching this issue I have been very surprised at what I have found. The Leo J. Ryan Award was established by the Leo J. Ryan Education Foundation in honor of Congressman Leo J. Ryan; Prior to the establishment of the Foundation, Margaret Singer was given the "Leo J. Ryan Memorial Award" in 1978, for research on cults, from Citizens Freedom Foundation. "After his death, Ryan's daughter Shannon Jo changed her name to Jasmine and joined Bhagwan Shree Rajneesh, a cult. While her sister Patricia became president of the (OLD) Cult Awareness Network. Ryan's daughter Erin worked for the C.I.A. before eventually becoming an aide to her father's former aide Jackie Speier, who had in 1998 been elected to the state Senate." 1996 - Cynthia Kisser, head of the Old Cult Awareness Network (A big enemy of Scientology). 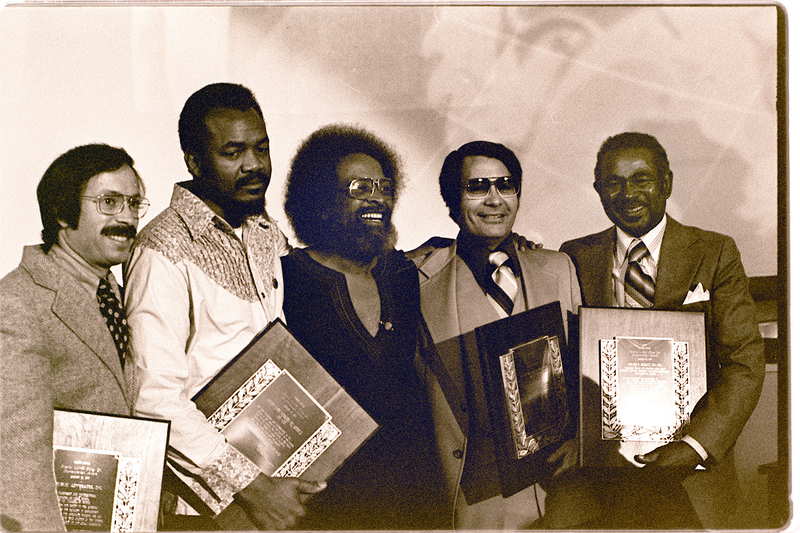 The Cult Awareness Network (CAN) was founded in the wake of the November 18, 1978 deaths of members of the new religious movement Peoples Temple and assassination of Congressman Leo J. Ryan in Jonestown, Guyana. ~More info on CAN. So you have to be highly suspect of all these anti-cult movements since they are a result of covert CIA operations! All this research I've done on this page really verifies to me the truth in Alberto Rivera's words when he said, "...the Vatican planned the infamous Jonestown massacre in Guyana in 1978. Jim Jones was a Jesuit under that secret oath with instructions from Rome to commit mass murder in order to discredit Christian camps. According to Alberto, "The cry went up that politicians should pass laws forbidding groups from setting up retreats. This way, Bible believers would have to hide when the great wave of persecution from Rome begins." Info on CAN What is the Cult Awareness Network and What Role Did it Play in Waco? Note: These [above] pictures on this page and the next appeared in the book Six Years with God The author, Jeannie Mills, her husband Al, and daughter Daphne were found murdered in their Berkeley home in 1980. They were ex members of PT. controlled and funded by Taxpayers Dollars. Jerry Bown also gave Ted L Gunderson a promotion within the FBI as Governor of California. I maintain Brown still is a Jesuit to this very day! 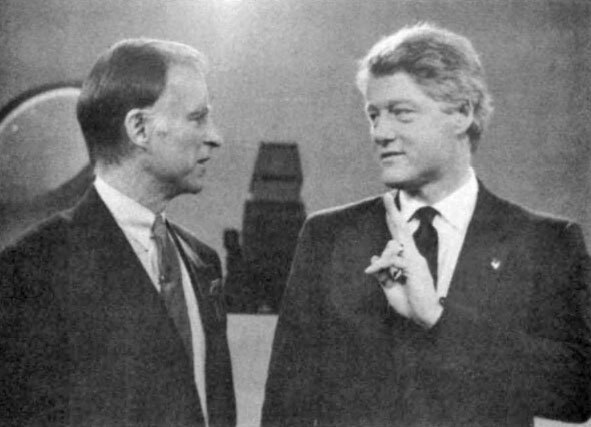 There is even a picture in Jesuit coadjutor Texe Marrs book, "Codex Magica" showing Brown pictured with his brother Jesuit Bill Clinton giving a strange handsign similar to the mano cornuto, but somewhat different. Marrs acknowledges both men were trained by Jesuits. Brown's association with Jim Jones is further evidence that corroborates that which was provided by the late Brother Alberto Rivera who exposed Jim Jones as a Jesuit! I learned Jonestown was actually located in a town called Georgetown (of all names). Even in Langley VA where the CIA is headquartered is located off of Georgetown Pike if you are heading there from the south! I've heard once I believe in college that as a result of the CIA psy-op Jonestown, no religious group can leave this country and retreat to another! I believe this was strategic. It is no wonder why this Jesuit-controlled government is growing more and more evil with each passing day! This was done to ensure that no group of true Born Again Bible Believing Christians can relocate and flee persecution from the "New Evangelization" aka Jesuits' North American inquisition in the future through their DHS! I definitely believe Bill Clinton is a Jesuit evidenced by the fact during his "impeachment" proceedings the late Robert F. Drinan SJ spoke in his defense explaining why Clinton should not be impeached from office! He said, "A vote to censure a president by one or both bodies of Congress would establish a dangerous precedent which would weaken the institution of the presidency." Source Link The Jesuits clearly are behind the centralization of power in the executive branch of this government. The President is a mere puppet of the Order and they are working to make him an absolutist dictator! Originally a Dutch colony in the 17th century, by 1815 Guyana had become a British possession. The abolition of slavery led to black settlement of urban areas and the importation of indentured servants from India to work the sugar plantations. This ethnocultural divide has persisted and has led to turbulent politics. Guyana achieved independence from the UK in 1966, and since then it has been ruled mostly by socialist-oriented governments.